>While no manufacturer would ever be so bold as to say that their homes are hurricane-proof, it has been proved time and again that modular homes stand up to extreme conditions much better than their site-built counterparts. When Hurricane Sandy hit the northeast and homeowners went to tally up the damage, modular homes fared significantly better. 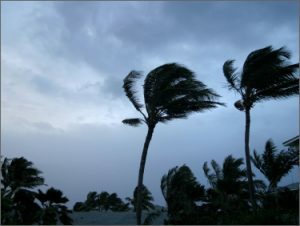 FEMA has continually praised modular construction for sound workmanship dating all the way back to a report they issued in 1993 about Hurricane Andrew hitting Florida. When winds are blowing at 155mph, you want to know that the workers who built your roof knew exactly what they were doing. Imagine if airplanes weren’t built with standard parts in factories by career technicians. Would you want to fly in that plane? Modular manufacturing is subject to the same rigorous quality-control as other high end manufacturing. Since the homes and their parts are factory-made, there’s no worry that they’ll be subpar. For example: the seals on roofs are done by a factory worker whose job it is to work on roofs all day, every day. Because of this, he has all of the tools, training, and experience he needs to do his job perfectly each and every time. The same is true for every other step in the modular home manufacturing process. The FEMA report cited that “Much of the damage to residential structures also resulted from inadequate design, substandard workmanship, and/or misapplication of various building materials.” With factory construction, a lack of knowledge, skills, or design will never be an issue. 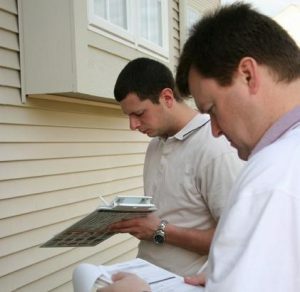 Site-built homes only have one inspection once the home is completed. In some states, that inspection doesn’t even have to be carried out by a licensed inspector. This one inspector is responsible for checking everything from the roof, to the basement, to the electrical wiring, to the plumbing, and everything else as well. With a modular home, a specialized inspection takes place at every step of construction. These inspections aren’t mandated by the government, but by the manufacturers themselves to make sure that quality is kept as high as possible. Then, once the house is built, it will be given a final inspection just like a site-built home. In addition to the inspections done at every step of the prefab process, modular homes are subject to the same state and local inspections as site-built homes. Modular Homes are inherently stronger than site-built homes because of they way they are constructed. 15 Minutes North of Wilmington, 25 Minutes South of Jacksonville. 1 Mile South of Lowes at Surf City Exit.